Lots of kids are planning to enter the Bike Jamboree. There will be cross-country riding, an obstacle course, and even a contest for funniest bike. School bully Zack Jackson and his buddy Brett call the Hardys wimps. But is someone playing dirty to win the grand prize—a twenty-speed mountain bike? Frank and Joe are determined to be good sports, but there’s plenty of foul play. First Brett finds gum on his brake pad. Then somebody messes with Joe’s bike seat. Who’s behind the nasty tricks? 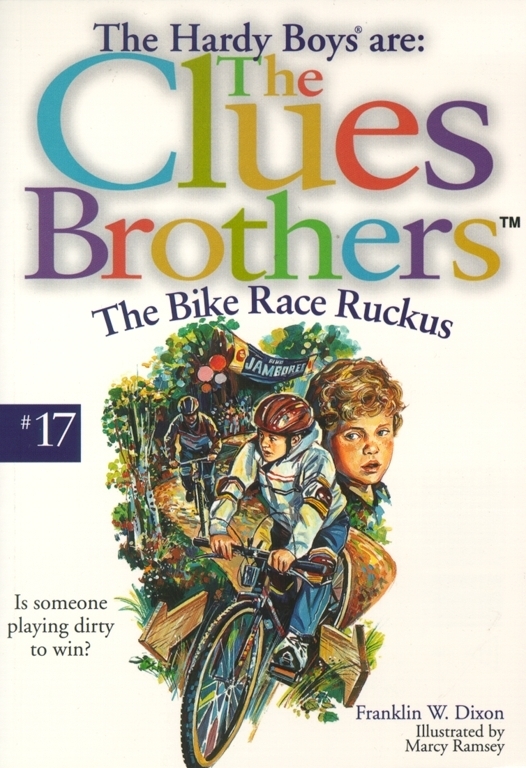 Frank and Joe gear up to find out—before the big bike race ends in a big disaster!